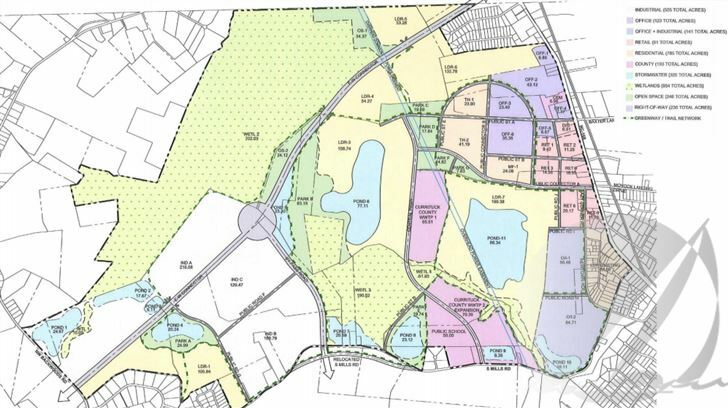 Larry Lombardi, Currituck County's new economic development director, spoke with The Daily Advance about the county's proposed mega-site project in Moyock. A plan for the 3,000-acre site includes a mix of commercial, residential and retail development. Lombardi believes that the project is critical to the county's future and he's excited to be involved in the early planning stage. Lombardi previously served in a similar role in Chowan County and Edenton and worked for 8 years as Norfolk’s business development director. One of his top priorities will be to recruit new businesses and developers to the Moyock site. He told the Daily Advance that he has already seen interest from former contacts in Hampton Roads: "Well, I've already got some calls from my buddies up there," he said. "Trust me, if I can get 'em to come down and take a look and sit with us, I know I'm going to get their interest where we're going to move forward.